Lowell Jackson Thomas graduated from Valparaiso University with his bachelor’s degree in 1911. He arrived in Valparaiso, Indiana at the age of 17 with experience as a gold miner, a range rider, a carrier of gold samples across the Rocky Mountains, a mining camp reporter, and an editor. While at Valpo, he was known as a good student and kept busy as a janitor, salesman, night cook in a railroad short order restaurant, and waiter in the University’s main dining room. 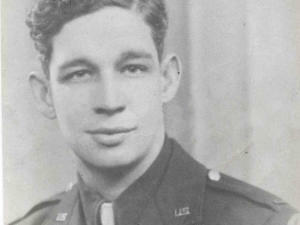 Over the span of his career, Lowell was a preeminent American radio commentator, newspaper reporter, journalist, war correspondent, author, lecturer, and explorer. His journalism career commenced upon his graduation from Valpo and saw him rapidly acquire a substantial reputation as a writer. During his 20s, Lowell worked as a war correspondent, achieving worldwide fame for his discovery of Colonel T.E. Lawrence, who became the subject of his first book, “With Lawrence of Arabia.” More than fifty popular books on contemporary affairs would follow. 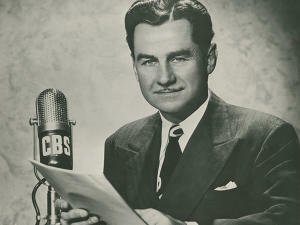 While Lowell’s principal medium was radio, with his nightly news broadcasts becoming an American institution for nearly two generations, he made prominent television appearances as well, appearing on the first television news broadcast in 1939 and the first daily television program in 1940. After serving in the Marines during WW II, he began his career in hospitality by joining the family business, the Corral Bar in Valparaiso. Wellman’s Restaurant was born and soon after, Valparaiso’s Bridge VU Theater, hosting such stars as Dolly Parton, Phyllis Diller, the Oak Ridge Boys, Duke Ellington and many more. Several years later, Bill partnered with Dean White and Whiteco Industries to supervise the design, construction and opening of Merrillville’s Holiday Star Theatre (later renamed the Star Plaza Theatre) in 1979. The theater was instrumental in the growth of the tourism industry. 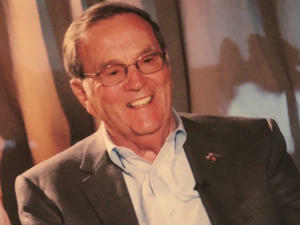 Wellman has won numerous awards, including the “Man of the Year Award” from the Indiana Restaurant Association, the Citizen Square Award (an award used to boost awareness and motivate good citizenship in downtown Valparaiso), and the prestigious Will Koch Indiana Tourism Leadership Award. He was also inducted into the Indiana Restaurant Association’s Hall of Fame. Wellman received an Honorary Doctorate from Valparaiso University in 2017. At age 90, he wanted to recognize his peers in America’s Greatest Generation by developing the Time-line Audio Player System of America, aka T.A.P.S. This sound system plays “Taps” at dusk every day at nearly 100 units across the country.